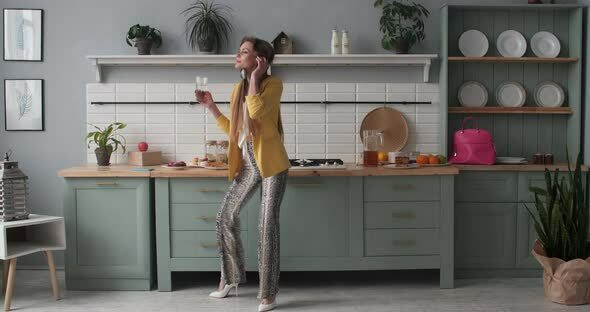 Happy young girl in fashionable clothes dancing at kitchen. Beautiful brunette model in blue headphones moving on heels from side to side. Stylish woman in yellow jacket singing and jumping inside.